Anne Maclure is one of our administrative assistants, with a concentration on providing superior customer service and support. 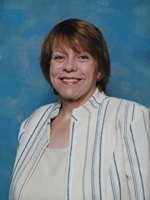 She is a long-time veteran of the insurance industry, having worked for the company for nearly 30 years. Anne has an undergraduate degree from Albion College, with a Masters degree from Texas A&M University-Corpus Christi. She has earned the prestigious professional designation of FLMI (Fellow, Life Management Institute) and done other advanced work in the insurance profession. Married to David, a retired SAISD teacher, Anne is the mother of two grown sons and grandmother of five. She is heavily involved in church work and serving the community.